The Search process sounds messy, but at Ista we've tried to streamline things to make it easier on everyone involved. In the end roleplay is our main focus. The more RP you do and the better it is, the better your chances of Impressing. Currently, Ista Weyr is gearing up for Search! Starting up in May 2010! If we do have a gold it will be required that for three years after graduation the person does not request a transfer elsewhere. Anyone we do Impress a gold to has to want to be at Ista, that is of major concern to us. The other colors are equally as important - and some might say more so - however golds have a chance of winding up Senior Weyrwoman and even if not are needed to be active at leading Searches when it's their turn. Even with other colors we want to see people who are dedicated to first the game and second to Ista. We also want to see people out and roleplaying and getting others to do the same. (1) Wait until Search is first announced on *ann. This ensures that any information is relevant to what's going to happen with the upcoming Search. (2) Please familiarize yourself with "news Search" and "news IW Search". (3) Make certain that your area leader has been notified of your interest to apply for Search before you actually apply. We will not Search anyone who has not gotten prior permission from their region. Fort Weyr residents are not considered eligible for Ista Search, as per Weyr agreement. (4) When ready, send an @mail to the SearchCo's mailer asking to have your candidate ICly Searched. If you want to be Searched under special circumstances, or have a TP going that might hinder our ability to Search you, please let us know so that we may find a way to satisfactorily accommodate you. 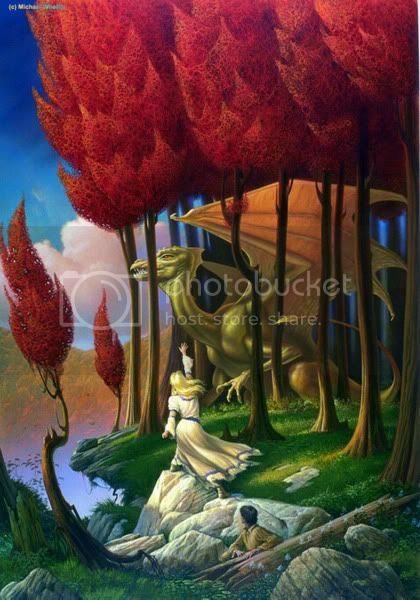 You will not need to determine what color dragon you are asking for or if you wish to be Stand Only at this time, only that you desire your character to undergo Search. This involves a roleplayed scene, and since we will not always tell you when we're going to do it it's highly recommended that you make yourself available. You should be out in public rooms as much as you can and open to or engaged in RP. Why? SearchCo is trying to learn about you and doing things like noting your online times, getting used to you and your RP style as well as getting to know you personally. Once your character has been successfully Searched, it is the Searchrider's job to add you to the appropriate knots, mailers and channels. Once this is done, you may begin roleplaying your character as a candidate any time you wish. We strongly encourage you to get to know your fellow players and their characters, especially area staff and candidates. Congratulations, you're now a candidate! Relax, enjoy and RP! If you have any questions please refer to the *ls mailer or any SearchCo member. You are more then welcome to run TPs or events with area staff approval, be it for candidate pranks, something personal for your character, or just good ideas you come up with. Eventually a questionnaire will be sent out requiring your responses on what dragon color, names, preferences, and other Search-sensitive information you may have in mind. We try to do this near the end of the cycle to give every candidate plenty of time to think it over and decide what's right for them or their characters.